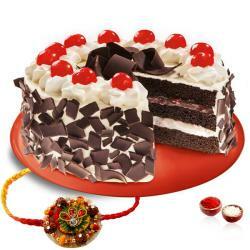 Single Rakhi, Roli Chawal along with Half Kg Dark Chocolate Cake. 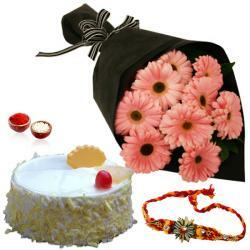 This combo pack is the ideal gift option for Raksha Bandhan. This will overwhelm your brother with elan. 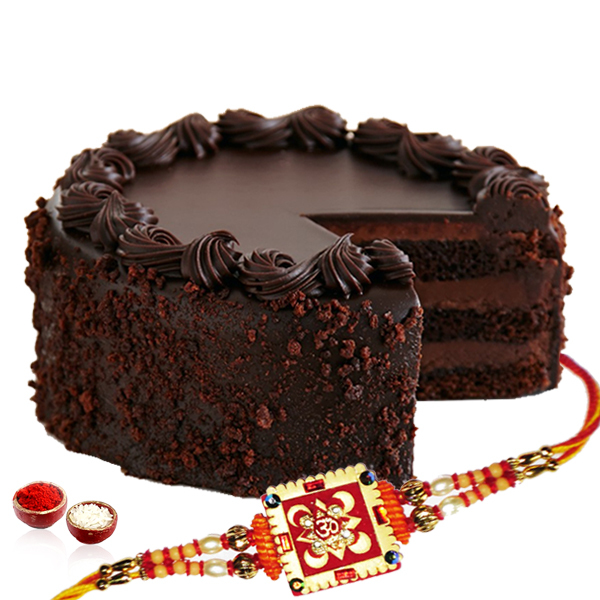 This comes with a beautifully designed Rakhi that will charm you with its lovely ethnic design and will adorn your brother wrist quite wonderfully indeed. 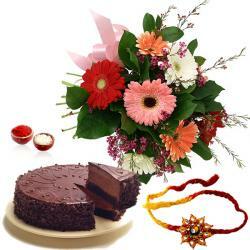 This Rakhi also comes with the traditional Roli Chawal which adds a new dimension to the celebrations in its own inimitable style. 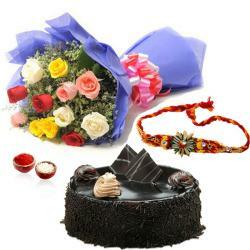 This beautiful Rakhi Combo includes : Single Rakhi and Roli Chawal along with 1/2 Kg Dark Chocolate Cake.